By clustering patients based on blood levels of select biomarkers, researchers learned who is likelier to benefit from a specific therapy. Despite therapeutic interventions, some cases of acute kidney injury deteriorate, requiring dialysis. In the United States, one of every five hospitalized people develops acute kidney injury (AKI). Numerous causes, alone and in concert, can trigger the condition; they include infection, low blood pressure, and reaction to medication. Kidney function deteriorates and waste products collect in the blood, spurring new problems throughout the body. Doctors in intensive care units, where most of these patients are treated, employ a standard treatment, but the wide array of contributing factors make it unclear how any individual patient will respond. 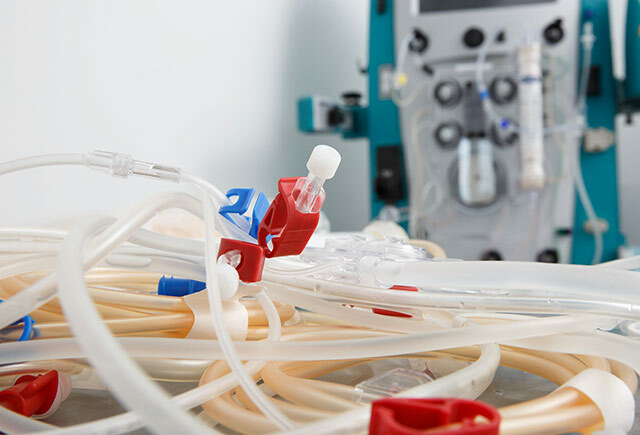 Some cases resolve quickly and others worsen to require dialysis. Lead author Pavan Bhatraju is a UW Medicine fellow in pulmonary and critical care medicine. New study findings, however, shed light on which patients are likelier to benefit from a specific therapy. The American Journal of Respiratory and Critical Care Medicine published the paper, whose lead author is Pavan Bhatraju of the University of Washington School of Medicine. With years of AKI treatment trials yielding inconsistent responses, Bhatraju and colleagues hypothesized that unidentified subgroups exist among these patients, and that identifying certain clinical and physiological characteristics could reveal patients who would respond better to therapeutics. The researchers drew on two cohorts of kidney-injury cases, totaling 1,219 patients, from independent hospitals. “We studied two large, critically ill populations with kidney injury and clustered those populations across multiple variables such as circulating levels of hemoglobin, sodium, and other biomarkers,” said Bhatraju, a pulmonary and critical-care specialist. They ended up with two distinct clusters of patients and found that these helped to identify who was at increased risk of death and the need for dialysis. The researchers then applied their two-cluster model to findings from a 2008 study that tested two therapies for septic shock, a condition frequently involved in AKI. In the 2008 study, 271 patients were randomly assigned to norepinephrine, the standard of care, or norepinephrine plus vasopressin, a hormone to protect the body’s fluid level. The original paper reported inconclusive results; neither therapeutic approach yielded broadly favorable outcomes. But when those same results were viewed through the new model’s clusters, a helpful finding crystallized. By identifying meaningful AKI sub-phenotypes, the researchers think they have taken a significant step to help physicians predict which critically ill patients will respond better to vasopressin therapy. The biomarkers shown to differentiate the AKI clusters were measured in a research laboratory. Rapid, bedside assays would need to be developed to identify patients for these AKI clusters. Work is underway to understand whether a non-invasive urine sample would suffice, rather than requiring a blood draw, Bhatraju said. He expressed excitement at the idea of extending “precision medicine” more into the realm of critical care. Study collaborators represented the University of California, San Francisco, Vanderbilt University, University of Pennsylvania, University of Leeds (UK), University of British Columbia (Canada), and Harvard University. The work was supported by grants from the National Heart, Lung, and Blood Institute (R01HL060710), the National Institute of Diabetes, Digestive and Kidney Diseases (F32DK112532), the University of Washington Department of Medicine, and an unrestricted gift to the Kidney Research Institute from the Northwest Kidney Centers.